The spirit of Dubai is here! 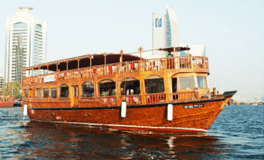 Dhow Cruise Dubai exposes you to the “other side” of Dubai’s highly gripping and eye-popping enchantment, asides breathtaking skyscrapers and luxurious shopping venues. 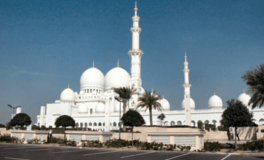 Don’t miss the opportunity to tour Dubai dhow cruise with us, whether you want to explore the old Dubai Creek or encounter the ultramodern episodes of dhow dinner cruise Dubai Marina. which surprises you on every nautical mile. Cruising in Dubai is an ‘abode on water’ experience with every minute detail of your sail paid attention to with our bespoke and sophisticate services. 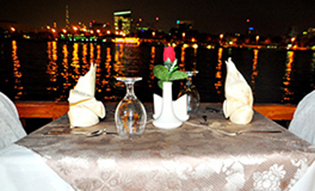 If you’re looking to make the night special on your special event or romantic escape, there is nothing better than dhow cruise Dubai at night. Tour Dubai dhow dinner cruise for an exceptional breakout with colourful belly dancing or the dervish traditional Tanura dance to spice it up! Get the most happening and fascinating dhow cruise in Dubai! We promise to make the dhow cruise Dubai worth repeating again. A trip down the historic creek on our wooden dhow with Arabian-inspired setting is one of the most splendid things to enjoy during Dubai vacation. Offers you a relaxing experience. Join us for an outstanding cruising experience that is not to be missed in Dubai! Our two-hour cruise is a wonderful way to relax and views of Dubai's skyline. 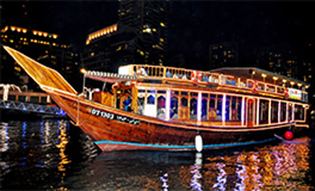 Dhow Cruise in Dubai provides fantastic dhow cruise options for special events and functions including get-together, corporate events, kids' parties, and family events. Experience something different apart from watching the huge, luxurious skyscrapers and malls. Try out by taking by the Musandam Dibba tour,a experience in Oman. Two of the best things, you will never stop thanking yourself after enjoying them in Dubai, are the Desert Safari and Dhow Cruise. They are the must for every tourist to experience otherwise the whole idea of vacationing will fall flat. When vacationing in Dubai, be sure to include all attractions and activities that allow you to experience this incredible city at its best. 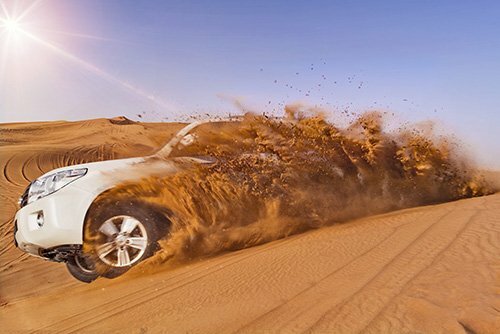 We, dhowcruiseindubai.com, take care of your holiday needs. 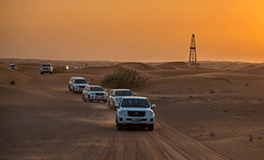 Relive the famed Bedouin lifestyle of U.A.E. with our desert safari. A perfect mix of modern and traditional, the desert safari is your exclusive experience complete with camping under the stars. Security Question : 9 + 5? Designed by Technoheaven Consultancy Pvt. Ltd.